This statistic shows the results of a survey conducted in 2011 among Americans 50 years and older. They were asked about the distance between themselves and the place where their children live. 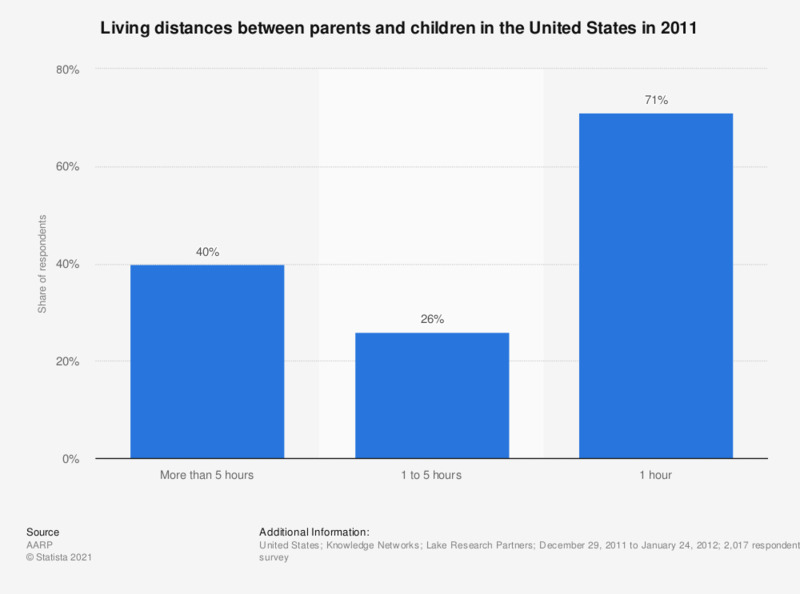 Of the 2,017 interviewees, 71 percent answered that their children lived less than an hour away; 40 percent answered that the distance between them and their children was more than 5 hours. How often do you usually read to your son, your daughter? What would you give as a Christmas present to your mum? What would you give as a Christmas present to your dad? Did you/your partner use the following prenatal offers?